Lyubertsy is one of the largest suburban towns situated in the South-East region. It is mentioned in the Chronicles in 1691 as the village of Liberity-Nazarovo. This name comes from the first owners of the settlement Nazar and Liberia. To reach Birzai in several ways - on the subway, then by bus and bus, train or car. Train at peak hours is the only transport on which you can get in this suburban town quickly. To get to Lyubertsy metro till the station "Vykhino". From her side of the field buses and taxis. The right stop is easy to find. Exit the first door of the first car from the center and come down from the platform. Immediately turn left, without going through the underpass. On the street - left again. Here are the taxi stops. Almost all of them go in Lyubertsy and on - Malahovka, Korenevo, etc. to Go from "Vyhino" to Lyubertsy no traffic for around thirty minutes. Also on the metro Lyubertsy can be reached through the station "Kuzminki". Taxi stop is located at the exit from the first carriage from the center. Upstairs, in the underground passage, turn right, then left. You will see a popular fast-food restaurant next to it stop the right bus. Going to Lyubertsy No. 507, 553 and others. Their route posted on the side window. A journey time of about twenty minutes, if possible without traffic jams to slip the Volgograd prospectus. 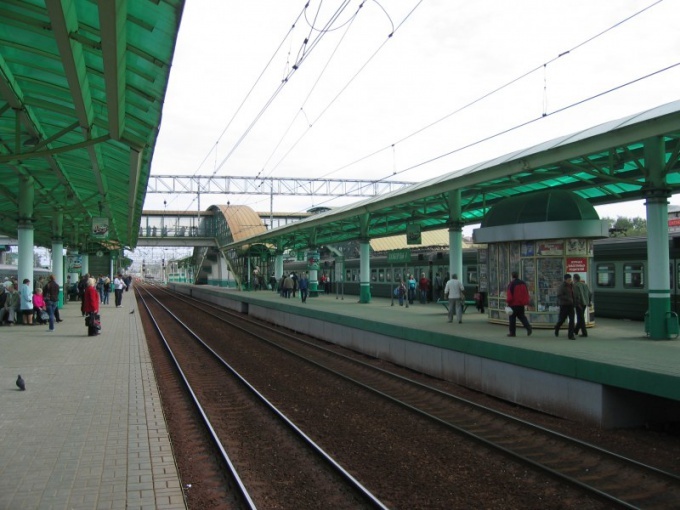 On the train Lyubertsy and can be accessed from the Kazan station. This is the Ryazan direction of the railway. Lyubertsy is a big city and on its territory there are four stations "Ukhtomskaya", "Lyubertsy-1", "Lyubertsy-2" and "Punks." At the station "Lyubertsy-1" and "Lyubertsy-2" makes a stop each train, including high-speed "Sputnik" from Moscow to Ryazan. To Lyubertsy need to go on the Ryazan and Volgograd prospectuses. Exit on the ring road, look for turn in Zhulebino, Lermontovsky prospect. On it you will go straight to Lyubertsy. Travel time from Moscow city centre is about forty minutes without traffic jams.